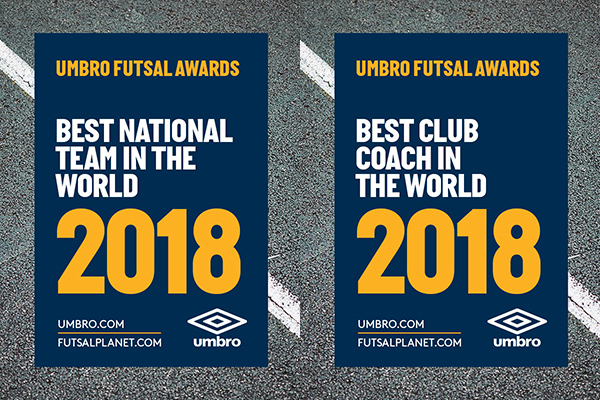 as anticipated some days ago through our social network pages we will be back soon with the most traditional and recognized prizes of worldwide futsal: the UMBRO Futsal Awards 2018! 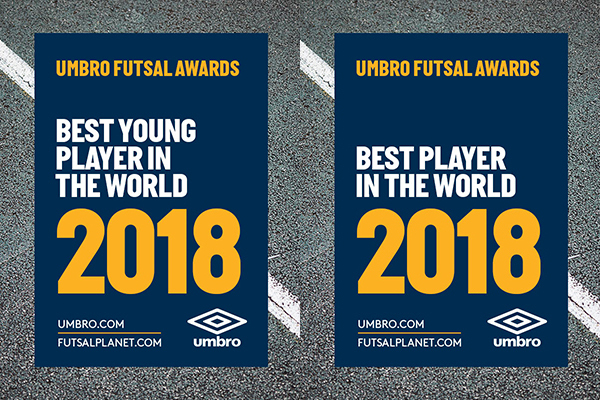 This will be the 19th edition of our annual awards and we're proud and extremely happy to count again on UMBRO, supporting our international party of futsal and making it even more prestigious. As it always has been and it always will be our aim is just one: futsal is the center of attention. Our spotlights are addressed to our people: field players or keepers (no matters if experienced ones, young promises or talented girls: there's just one game! ), coaches, clubs, national selections, referees. All of them are main actors and characters of a game in its own, and one more time we gonna celebrate them! So, get ready! 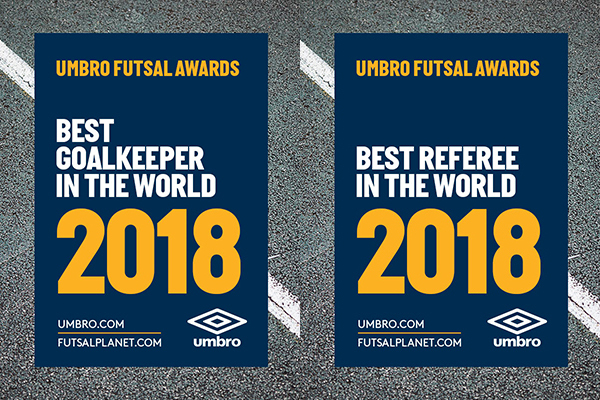 We have handpicked a selection of the world’s leading futsal experts from across the globe to decide who will win the UMBRO Futsal Awards 2018. 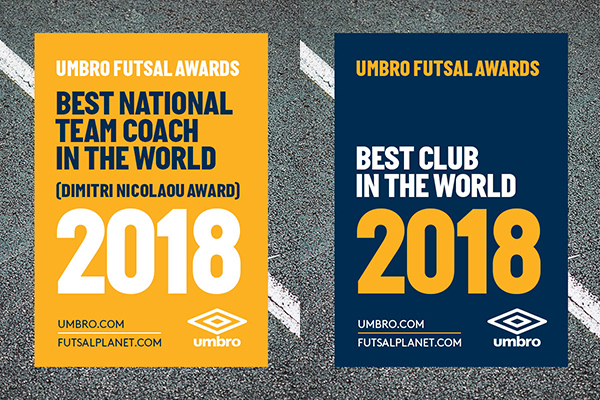 Each individual voter will vote for their 5 favourites in each category from the nominees which have been selected by the Futsalplanet team. They will vote in order of preference. So their first chosen nominee will receive 5 points, their second 4 points and so on with their fifth nominee receiving 1 point. The winner in each category will be the nominee that receives the most points by the closing date, after which no votes will be counted. 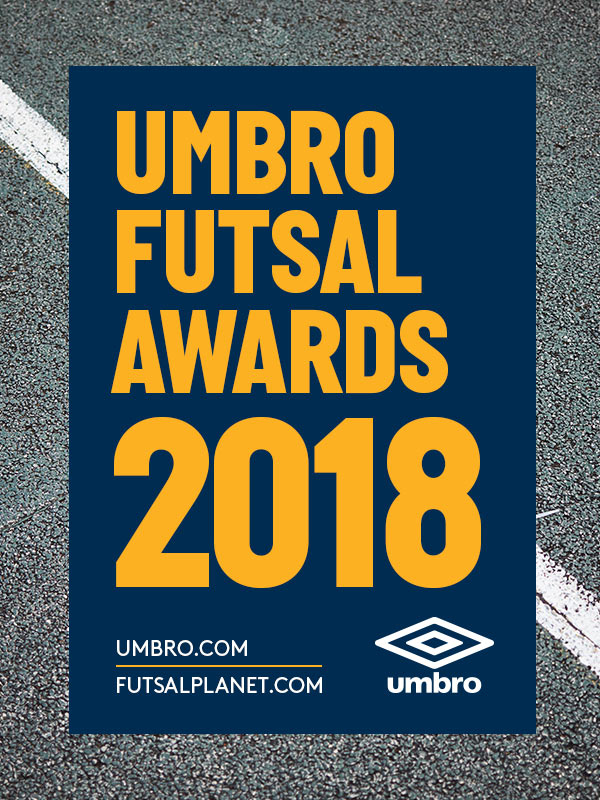 All categories winners of the UMBRO Futsal Awards 2018 will be announced on December 31st, 2018. 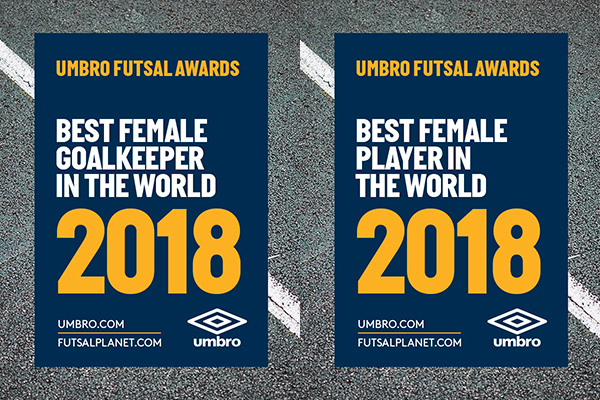 A good way to close one more wonderful futsal year, isn't it?